Falling under the municipality known as Mogale City, Krugersdorp is essentially a mining town, regarded as the industrial hub of western Gauteng. Gold, manganese, iron, asbestos and lime are all mined in and around Krugersdorp and its history is steeped in mining annals / memoirs, which began when gold was discovered on the farm Paardekraal. Consequently there are some beautiful old buildings and churches well worth visiting. But Krugersdorp has thoroughly modernised itself. 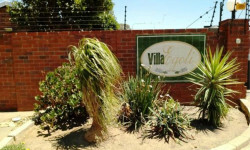 It has ultra-modern sport facilities including a sports stadium, a contemporary business centre including shopping malls and numerous smaller shops, but what draws people to Krugersdorp are the various activities close by. The 1400 hectare Krugersdorp Game Reserve provides a really worthwhile half day trip and a quiet break from the world. The reserve is one of the best kept secrets in this part of the world and is seldom busy, and because it is easily driveable in a day, you’re almost guaranteed of seeing game that includes buffalo, hippo, zebra, giraffe and a number of different giraffe. A separate area encloses the lions, and there are optional night drives. Other attractions include an eco adventure park, the South African National Bird of Prey Centre and the Railway and Steam Train Museum, where steam train fanatics can revel in the 90 odd steam engine locomotives. And lastly, the Sterkfontein Caves, just 12 kilometres north of Krugersdorp, where a myriad stalagmite and stalactite formations and guided tours through the limestone structures via a huge underground lake make for an exciting visit. Some of the oldest remains of ancestral humans have been found at this World Heritage Site. 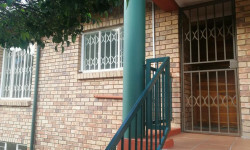 329 Jorissen Street, Monument, Krugersdorp, Gauteng, 1739.